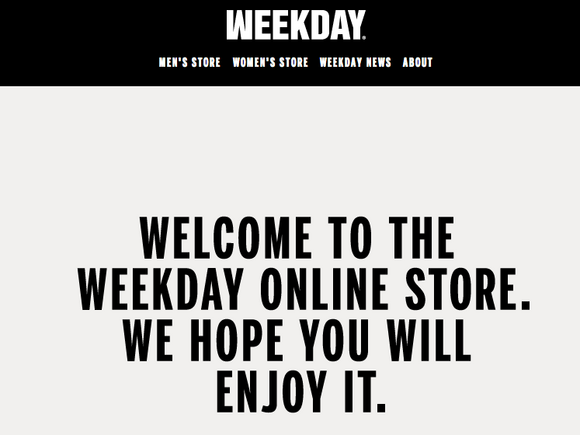 Today the WEEKDAY online store opened and you'll find most of the clothes you find in their physical stores now also on www.weekday.com. 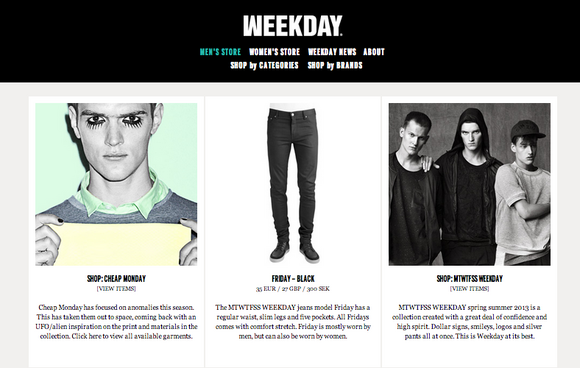 The long-awaited webshop offers pieces of WEEKDAY's inhouse labels MTWTFSS WEEKDAY, MTWTFSS Collection, WEEKDAY Collaborations and Fade to W as well as their external brands: Cheap Monday, Back, Rodebjer, Örjan Andersson, Cedric Jacquemyn and Christophe Lemaire. WEEKDAY is shipping to a total of 18 European countries.